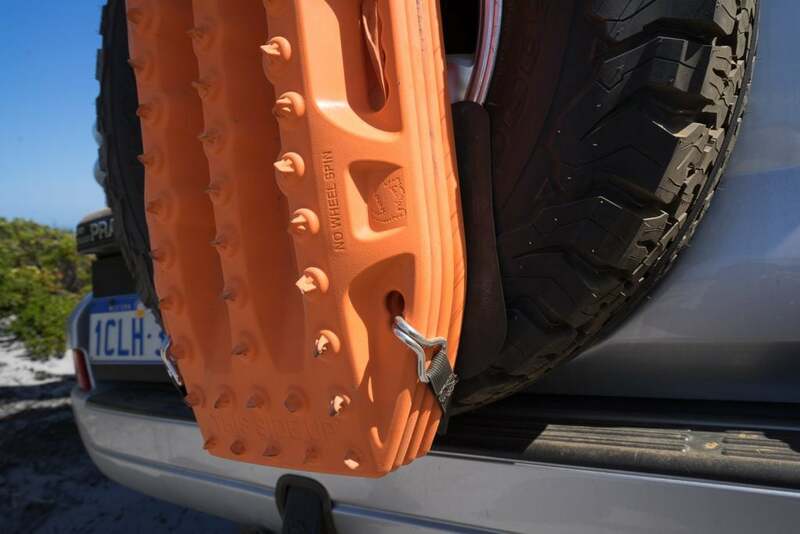 MAXTRAX have come to our rescue many times, so when our roof rack is loaded the Rear Wheel Harness is the perfect way to make sure our orange friends are at the ready. 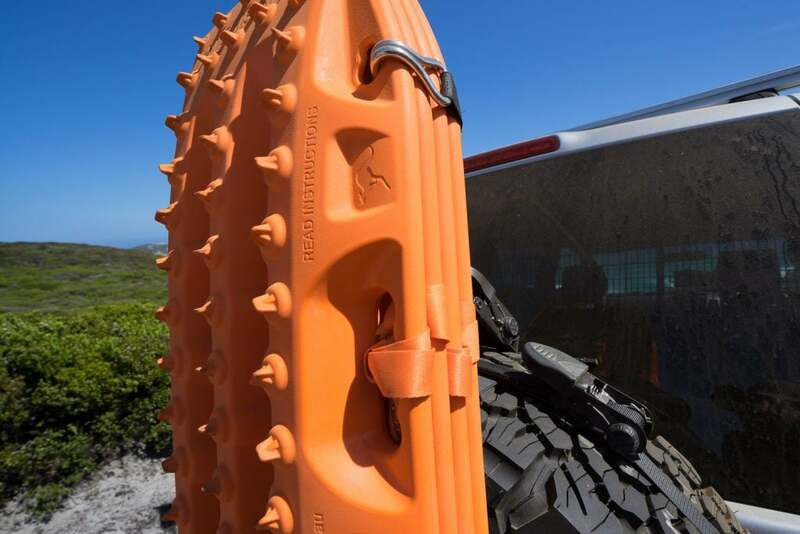 It’s a simple system, and the quality webbing, fittings and ratchets lock the MAXTRAX firmly against the tyre. 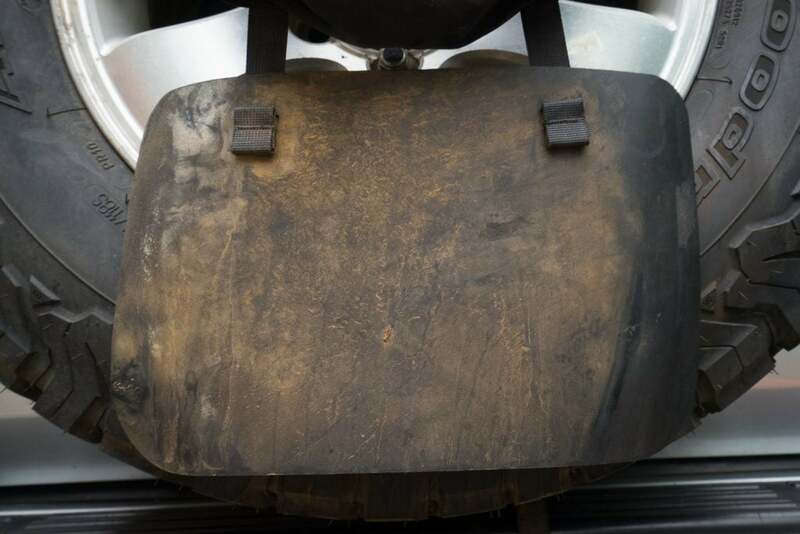 There are two main straps. 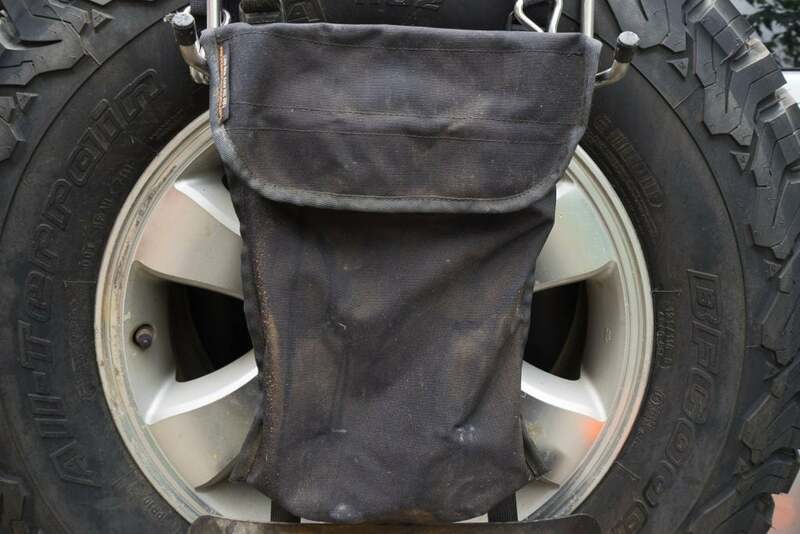 The first wraps around the tyre and holds the hooks, storage bag and tyre protector in place. 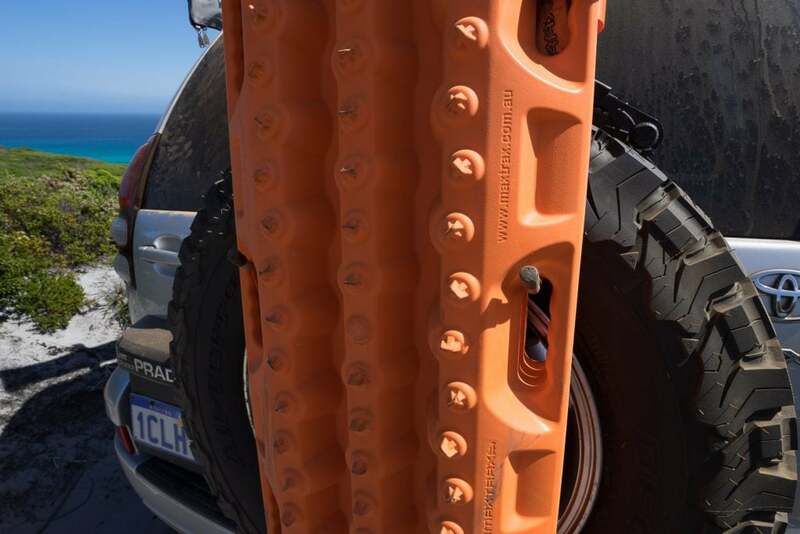 The second runs behind the tyre and has four hooks to lock the top and bottom of the MAXTRAX in. It’s worth noting MAXTRAX recommend using this with a swing out style wheel carrier. 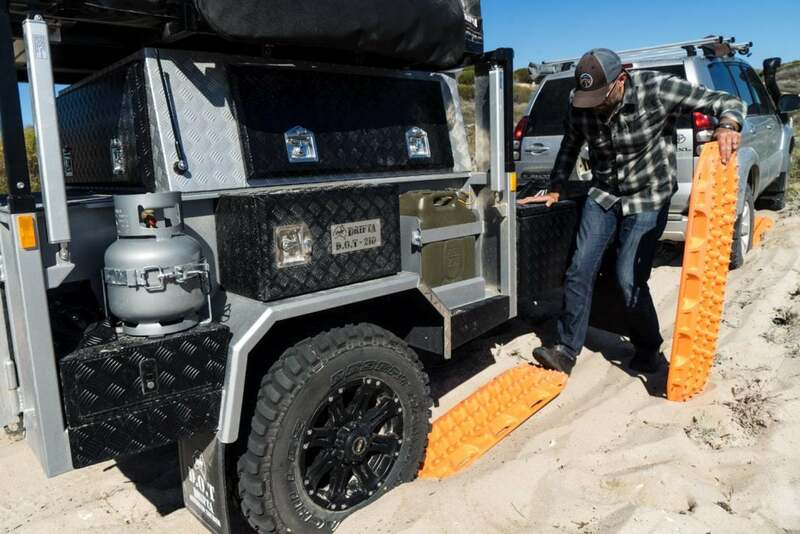 It would make it much easier to strap it on – the way we have it here requires the spare wheel to be loosened to run the strap behind the tyre. 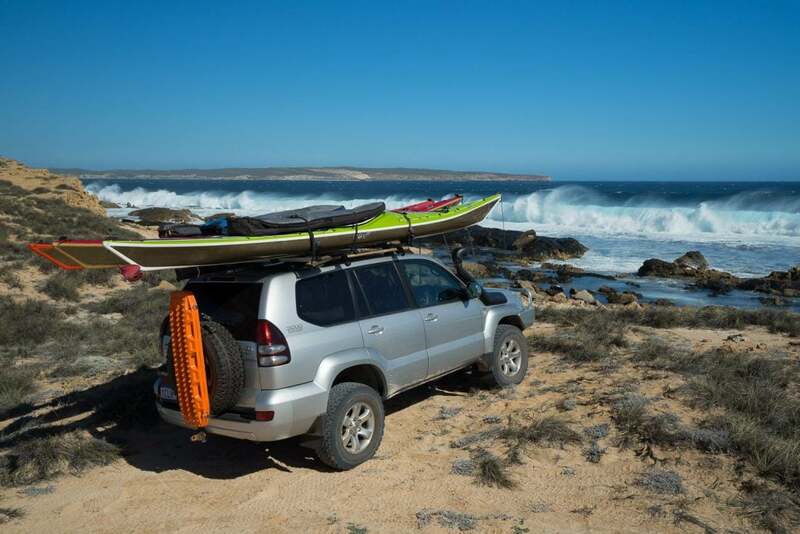 Once strapped on the MAXTRAX then hang on the horizontal hooks through the middle handles. Next top and bottom hooks clip in place and after a few cranks on the ratchet the MAXTRAX are rock solid against the tyre. We stow ours with the Tell Tale Leashes attached. 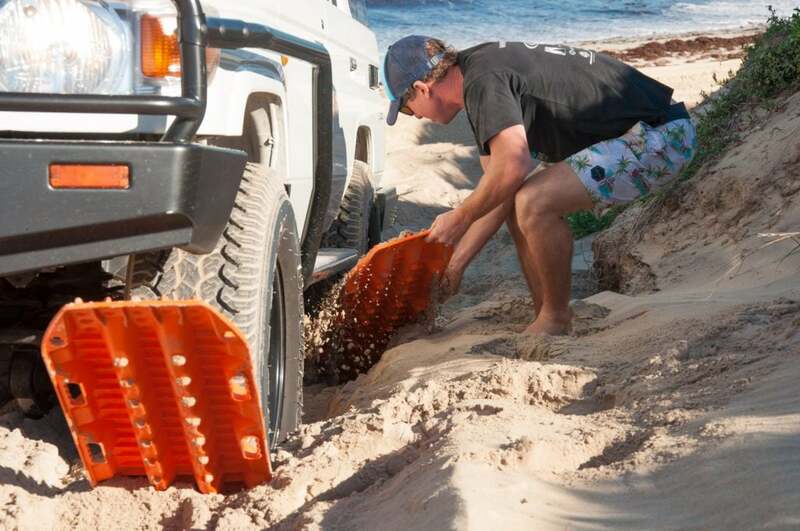 They make retrieving MAXTRAX from soft sand so much easier – and it’s the only way we don’t forget to use them! 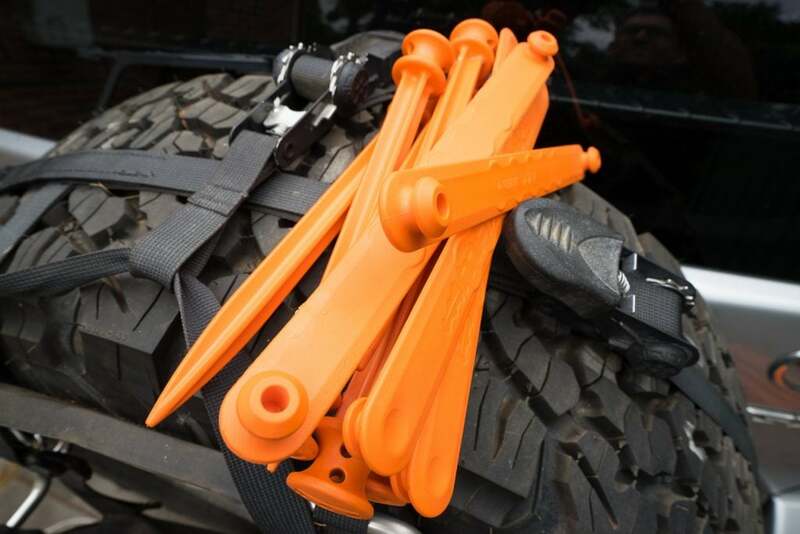 The storage bag tucked in behind the MAXTRAX is perfect for storing the pegs and straps in the Fixing and Linking Kit. 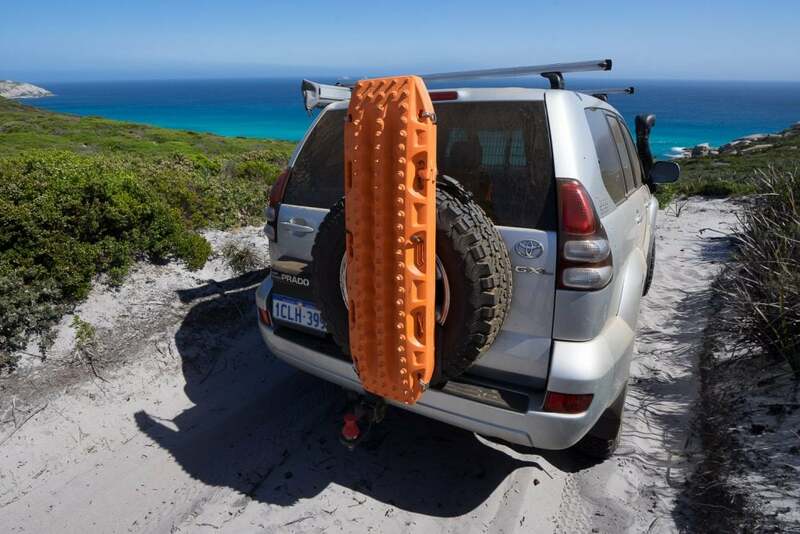 Finally, at the base is a sturdy rubber protector to stop the MAXTRAX from rubbing against the spare tyre. 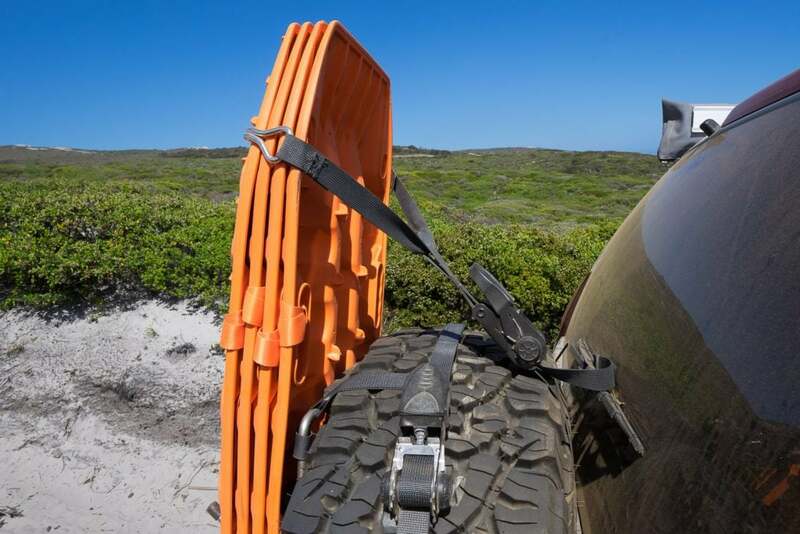 So if your adventure toys or roof top tent has taken over your roof rack this Rear Wheel Harness is another great option for carrying MAXTRAX. 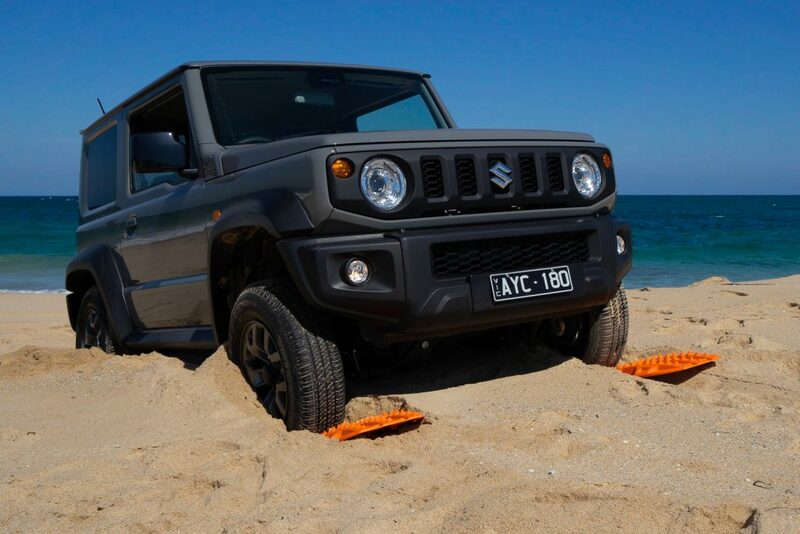 To buy or for more information visit MAXTRAX or MAXTRAX UNITED STATES.